This bottom bracket is for bikes with PF30 bottom bracket standard. 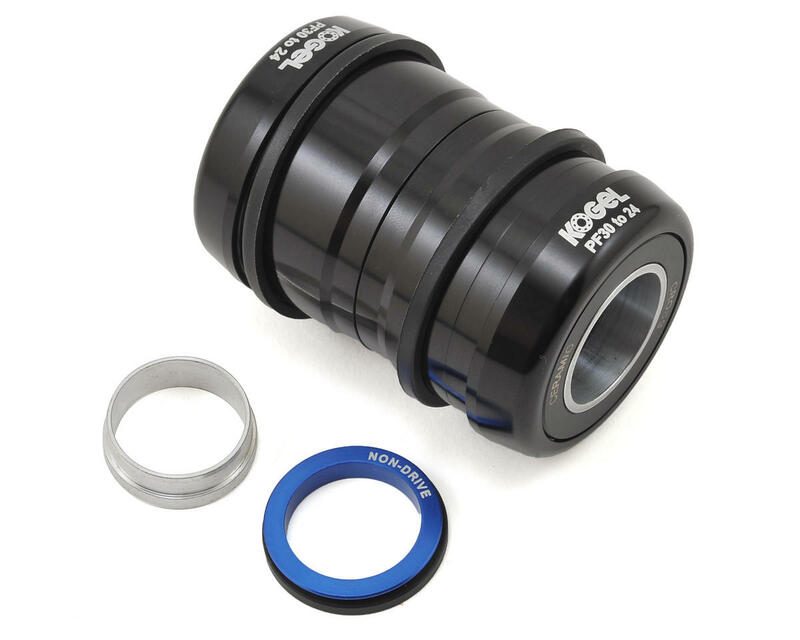 This bottom bracket uses Cross/MTB seals to protect from dirt and wear associated with CX and MTB riding but is also ideal for long life in road bikes. It includes an adapter for SRAM cranks (22/24mm) and fits Shimano standard 24mm axles as is. Kogel believes that quality ceramic bearings set the gold standard for ball bearings in bicycles. Silicon Nitride combines a set of material properties that make it perfect for bicycle bearings. The material is hard, resistant to wear, can be made into perfectly round balls with super tight tolerances and can be polished smoother than any metal. On top of all that, the material does not rust or oxidize. Kogel's races are made out of hardened steel and are polished to a mirror finish. These steps are necessary to make a perfect match between the hardness of the balls and the races. Kogel Bearings offers two seal types for different use: we have our road seals, a minimal contact seal that is designed to keep the elements out and the friction low. The cross seals are designed for extra protection from contamination: dust, water and mud. 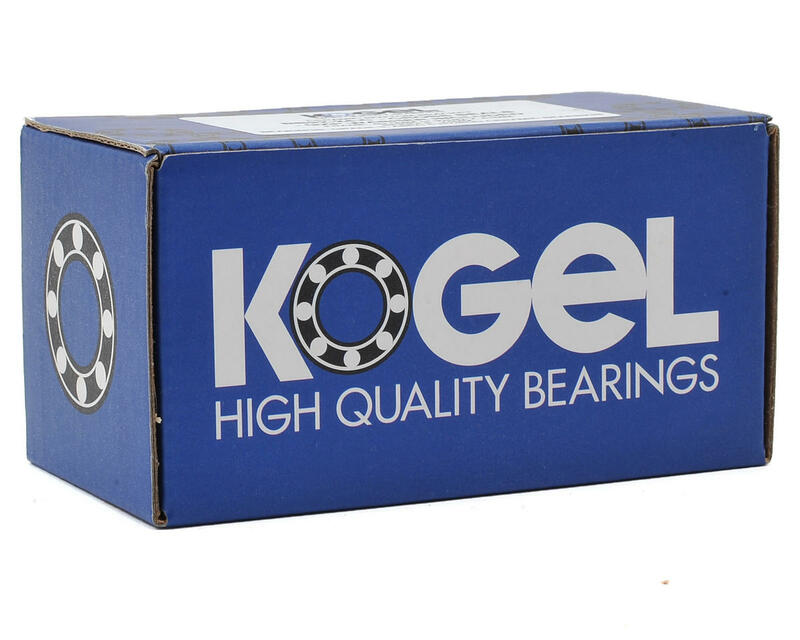 Kogel Bearings is very much aware of the bad reputation ceramic bearings have when it comes to durability. We blame this mostly on sub-par quality bearings being sold as high quality. A bearing needs to be balanced: the hardness of the balls needs to be matched with equally smooth and hard races. Bearing retainers, seals and greases must be balanced to work in unity. If one of the components is not matched with the others, it will throw off the performance of the entire bearing. The result being high drag, a shortened life span or major failure. To prove that we believe in our products, we guarantee them to be running for at least 2 years. If anything happens in the first year, we will repair or replace your product with very few questions asked. After that first year, we want the bearings to be serviced by a qualified mechanic. This service involves cleaning, regreasing and replacing of the seals. This will extend the warranty for another year.